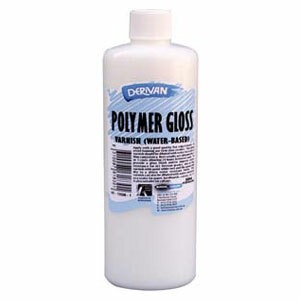 Derivan Polymer Gloss Varnish is versatile, ideal for use as a glue for paper and as a varnish in collages. When intermixed with colour, Derivan Polymer Gloss Varnish increases gloss and flow characteristics. Derivan Polymer Gloss Varnish is water-based and may appear slightly milky when wet.